We hear it all the time in sports, “it’s more than just a game.” Well, you’re going to hear it again. 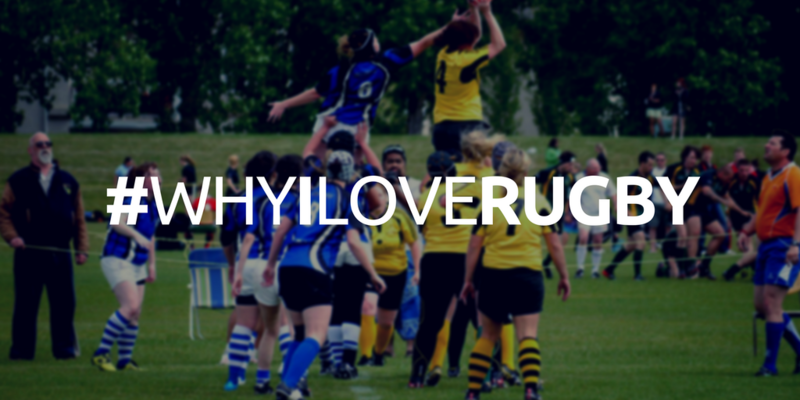 Rugby is more than just a game, it’s an avocation and a passion. Rugby is blood, sweat, and tears. It’s commitment, hard work, and sacrifices. It’s hundreds of dollars in beer, sunscreen, and mosquito repellent. And it’s worth it all.Every rugby player has woken up on a Sunday morning and questioned why we play a game that leaves us feeling like a truck had hit us the day before, and each of us are back on the pitch the following week. It is difficult to explain our love of rugby to someone that has never played rugby, but here is my best attempt. One of the best things about rugby is the camaraderie. I began playing rugby 11 years ago, and my closest friends today are still those I learned to play rugby with all those years ago, and I have made countless friendships along the way. Any rugby player, from any club, anywhere in the world will tell you that there is no bond like the bonds formed by rugby teammates (especially second rows with their front rows), and even opponents. A rugby club is a family; whether you are a rookie, veteran, or alumnus, you will always be a part of the club, and the members of the club will always have your back. I will always, always be a Pirate. Each year I have played, I have met incredible people, from all walks of life, that I know I can count on both on and off the pitch. Although we complain about the soreness and weather and mosquitos and fitness, we all miss weeknight practices and weekend games as soon as the season ends (well, maybe one week after), and anticipate the new season all winter. Beyond the training and the competition, the culture and sportsmanship embedded in rugby is like no other. Rugby can be seen as violent and intimidating, but at its core, it is a sport that is about respect, gamesmanship, and integrity as much as it is about the backwards pass. We all train to be the best, and we all play to win; but at the end of the day, we are all there and we sacrifice so much to be there, not because anyone pays us or watches us, but because we just love to be there. Rugby is much more than “just a game.” However, it is a game, and it is a game that is dynamic, physical, inclusive, and fun to play. I love rugby because anyone can play, regardless of size or ability. I love rugby because being a good rugby player isn’t all about speed or strength or skill (although having those things do not hurt); it’s about heart, hustle, and tenacity. It’s about running without fear, taking down someone twice your size, getting up when you’re down, and pushing until the eightieth minute. It’s about supporting your teammates (even when you’re dead tired and all they are doing is running sideways), chasing down every ball (even when it’s a tight game and your prop goes for a left-footed chip and chase), and giving everything in the scrum (even when the backs drop the ball for the 19th time in 2.5 minutes). The game can take someone that is timid and unsure, and turn them into someone that is confident and fearless. Pre-game always feels like a calm before a storm, but when the first whistle is blown, any nervousness and doubt disappears, and the adrenaline takes over. Over the last decade, rugby has had a huge impact on the person I’ve become. Not because of where the sport has taken me, but what the sport has given me: friends to last a lifetime, discipline, dedication, and fearlessness, confidence in my own strengths and abilities, leadership and teamwork skills, and opportunities to be apart of a community that is much bigger than a game; I wouldn’t trade it for anything. Rugby is a culture, a passion, a family; and everything about it is perfect (except sometimes the officiating). Can’t wait for rugby season. New Year’s Resolutions. Love them or hate them, they are a tradition as old as the Babylonians, who used to promise the gods to repay their debts and return items borrowed from others. While resolutions are often reserved for the individual, the Edmonton Rugby Football Club does have some lofty goals for the 2017 season – developing a more diverse social climate, running a second senior women’s team, rebuilding our men’s program, and growing rugby in our junior ranks. When searching for examples of the ‘best’ rugby programs for inspiration, there is no doubt the All Blacks would clearly be considered top dog using many metrics: they have never ranked lower than third in the World Rugby rankings, they are the winners of the most World Cups, holding three championships, and they were the first to successfully defend a World Cup championship title. But even the best clubs go through transitions. In 2003, the All Blacks faced their lowest world ranking, forcing the program go through an overhaul. The basic premise was ‘better people make better All Blacks’. The results speak for themselves: other than a couple of periods between 2007 and 2009, the All Blacks have been first in the world rankings. The strategies implemented by the organization were outlined in Legacy: 15 Lessons in Leadership, written by James Kerr, who followed the team in early 2010. If you’re looking for some inspiration for your own rugby resolutions, grab the book, or check out this summary blog by Gavin Hickie. There is an intimate link between individual attitude and club or team success. The culture of the All Blacks is summed up in two words: ‘No Dickheads.’ They have a team-first policy. Their values funnel down from that statement and are enforced by the members themselves. For 2017, some of the board members have decided to share their resolutions for promoting a club culture we can all be proud to be a part of. See if you can match the resolution with the board member! To be more punctual for practices and games. To let cooler heads prevail on the field and let go of disagreements with referees. To finish every project I start. I have too many half completed projects. To introduce myself to any new players I see at the club. To contribute to club unity by bringing back more social events. To focus on three basic principles: inclusiveness, competition, and success. To make sure no one goes alone, on or off the field. To grow my capacity as a leader, as well as others, and develop a stronger connection between the men’s and women’s programs. To encourage volunteerism within the club by acting as a model of it myself and publicly acknowledging the contributions of others. Wishing all of our friends and family the best in the coming New Year. We look forward to sharing our success stories with you as we take the pitch.